So you’ve decided to strike out on your on by starting your own insurance brokerage. Congratulations! As you’ll soon find, there’s a lot you’ll need to do in order to operate your own business, instead of showing up at an agency to sell policies for someone else. With this in mind, you’ll also find that setting up your brokerage office is very similar to setting up any other operation that involves staffing and administration work. Below are some of the basics you’ll need to have in place before you open the doors to new policy clients. When you used to work at an agency, you found that telephone and computing systems were already set up for you. You already had a desk to work at, so all you needed was to be trained in system and operations. Now, you’re in charge of making sure that your future agents can effectively do their work. So, consider how many people you’re ready to hire for your space, and plan out your work space stations accordingly. 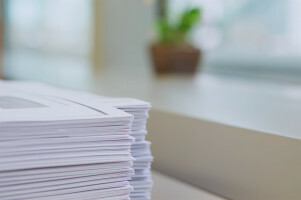 Although you’ll probably write policies via online forms on your carrier’s website, you’ll still need to make a huge investment in paper products. You and your agents will need to take lots of notes on your prospects. But you’ll also need a large quantity of printing paper. That’s because you’re going to want to hand out flyers as often as possible. First, you’ll need to advertise that you’re open for business. You’ll want prospects to know what lines of insurance you’ll offer. You’ll also need to create multiple versions of different flyers, so you can segment your targeted audience, according to specific marketing campaigns. Anyone starting their own business operation knows that saving as much money upfront is the best way to go. This means that it’s in your best interest to purchase a refurbished copier, instead of investing in something brand new. It’s also in your best interest to purchase the refurbished copier from a business that also offers managed printing services. This way, the same company that knows your copier inside and out will be able to properly and efficiently service it on a regularly-scheduled basis. For more information, contact your local managed print services Las Vegas professionals. For all the changes in document technology, the print business is still highly profitable. There are many reasons why reading a hard-copy document is preferable to reading one online, and your office or personal copier is still an essential piece of equipment. Copier repairs in Las Vegas can help you extend the functional life of your copier. 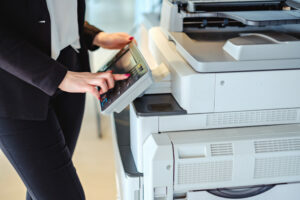 People primarily use copy machines to reproduce documents. Documents can be text files, graphic images or photographs, and they can be rendered in black and white, or color. These days, even inexpensive copiers have many features that make document reproduction easy and efficient. Almost all copiers have an automatic feeder function that allows you to handle multipage documents without having to spend time repositioning an original. Many copy machines can also make double-sided duplicates that don’t require you to flip your document manually. Copy machines can also collate documents, which makes it easier to hand them out as packets. • Paper jams: Sometimes you may be using the wrong-sized paper; other times, a glitch either in the software or the machine’s alignment is preventing your paper from loading properly. Most of the time, you can probably deal with this issue yourself. If, however, dust and debris is clogging the feed tires and other parts of your copier, calling a professional may be able to save you time and stress. • Streaks and other artifacts in your copies: Streaking can be related to many different factors from a dirty scanner mirror to a malfunctioning drum unit. Your repair person will be able to troubleshoot your issue and perform the necessary fix. • Wrinkled pages: You want business document copies to look crisp and professional. Wrinkling is typically caused by worn-out feed and exit rollers. You will probably have to replace the malfunctioning unit, and your copier service professional is the perfect person to turn to. If you are looking for printer services in Las Vegas, you may be a business that depends on local marketing to share news about events or special offers. Strategically placed posters can help you in that effort. For a poster to be effective, it has to be noticeable. Simple choices about paper, images and overall simplicity can get customers looking at your information. If you are posting on a public notice board, your information can get lost in a sea of white paper and black ink. Potential customers will lose your message as it blends in with all the other surrounding notices. Simply printing on a colored piece of paper can make your poster stick out. The eye will be drawn to the bright, yellow spot surrounded by white. You can bring even more contrast by using colored ink. For instance, blue ink on yellow paper is far more noticeable than black ink on white. It is simple to put images on a poster. Publishing software allows you to do it with drag and drop ease. 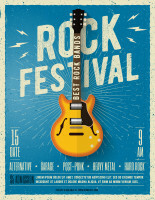 Yet the point of an image on a poster is to evoke a feeling and make the poster memorable. Cluttered posters are forgettable. If there is too much information to process, the customer will just move to the next poster. Find one or two memorable images that represent the message, allowing for some empty space in your design. Posters are only part of a marketing campaign. A good poster will create a customer response. While it can be tempting to put all the information about an event on a promotional poster, this can be overwhelming for the consumer. 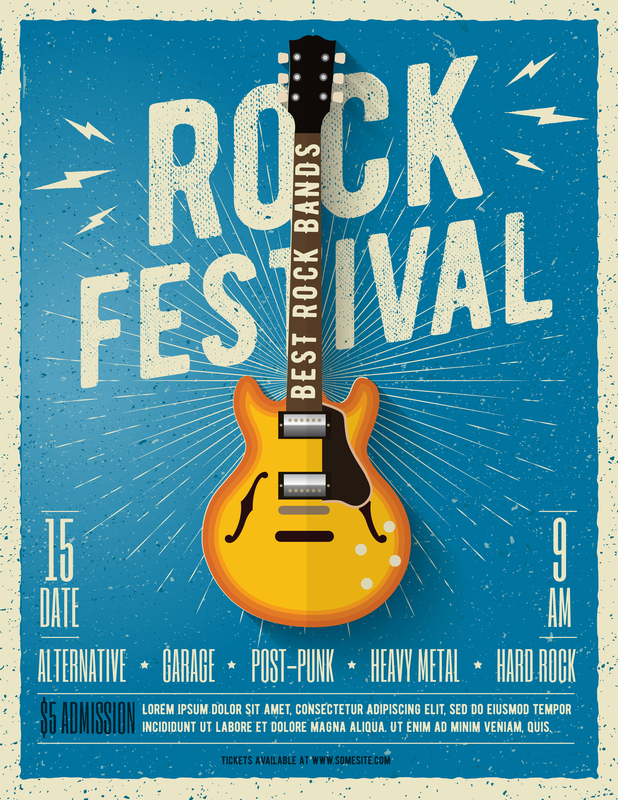 Instead, provide absolutely necessary information on a poster that includes a link to online promotional information. The consumer can digest the full information in his or her own time rather than trying to take it all in at once.